I hope you like this one!!! The four snails in the four outer sides look very good. Your kolams are very beautiful! 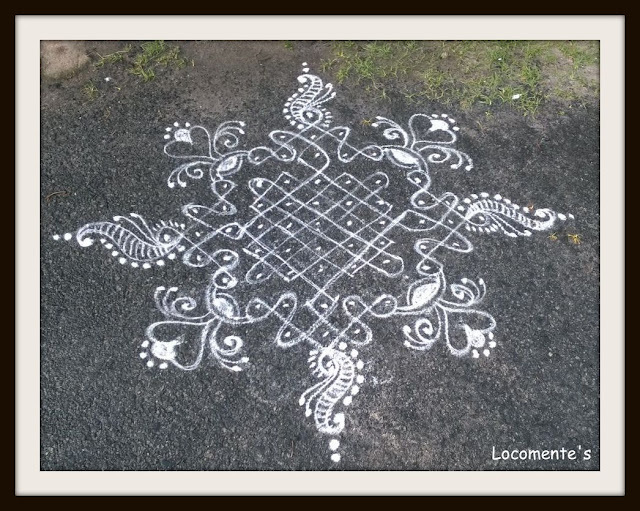 I draw many kolams but decorating them with extra designs is not my forte. My sister in law does like you have done here. Beautiful!